Last month I was kindly escorted along Quietway 1 by Sustrans, to take a look at the route – which was still under construction in a number of places at the time. The route runs from Waterloo to Greenwich, and is reasonably direct – although not as direct as the main roads in this area, particularly the Old Kent Road. Quietways should have been quicker and easier than Superhighways and junctions to build. They are on much lower-traffic roads and involve far fewer significant physical interventions. But they have been slower and more difficult. By next month, we will have delivered four segregated Superhighways on some of the busiest roads in London. But on the Quietways, despite more than three years’ work, no route will be complete by the time the Mayor leaves office. This is partly due to flaws in the way the programme is run and partly to differences between some boroughs and TfL/City Hall over quality. Quietways are supposed to be direct routes running on low-traffic back streets. They are meant to include filtering (bollards or other blockages) to reduce motor vehicle rat-running where necessary; full segregation wherever a route has to use a busy main road; and safe, direct crossings where the route has to cross a busy junction, road or gyratory. This is not always happening. Some Quietway routes (in build and proposed) represent a step-change in quality from the old London Cycle Network. But most, so far, do not. It was an interesting experience. I’d say in terms of length, the route is about 80-90% there in terms of quality, and is one of those Quietways that Gilligan might be identifying as a ‘step change’ from the old London Cycle Network (although, notably, Quietway 1 seems to make use of some existing LCN routing). The connections are mostly good, and cycling from Waterloo to Greenwich was a placid and enjoyable experience for the most part. 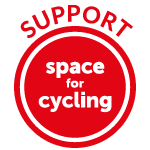 But it’s the remaining 10-20% that presents the problem – particularly, a handful of streets that haven’t been ‘filtered’, and where motor traffic levels are just too high for comfortable sharing of the carriageway, and also a number of junctions where careful thought is needed about how to improve the cycling experience. Most of those streets with the high traffic levels appeared to me to be at the Waterloo end of the route. Great Suffolk Street – below – had some traffic calming that obviously wasn’t doing anything to discourage people driving through, in numbers. It was either on this street, or a similarly busy one nearby, that we were honked at by a driver for having the temerity to cycle side by side, preventing him from overtaking. That’s not the sort of thing that should be happening on a genuine cycle route. Traffic levels just shouldn’t be this high; if they’re nice and low, side-by-side cycling is easy because drivers will be able to overtake easily too. These streets just didn’t feel like somewhere I’d be happy cycling with my partner; too much traffic, too many drivers hurrying somewhere else. Crossing the A3 (Borough High Street), you find yourself on a street that has been filtered, and that made an immediate difference to the quality of the cycling environment. Unfortunately, while the filtering is good, the filter itself definitely isn’t, an absurd double zig-zag that was easier to bypass on the footway. This really isn’t good enough for a quality cycling route. I have no idea why it’s still here, but evidently residents’ opinions have won out over the might of Transport for London and Southwark. From this barrier the route jinks left onto Globe Street, which was also already filtered, but has been ‘prettified’ as part of the Quietway scheme with some paving and a central median. It seems churlish to complain, but the new design has narrowed the usable cycling space on what was already a street that was a dead-end to motor traffic – and you could also argue that there are better uses for hard-won cycling money than paving. The crossing of the A2 (again, already a filter in place) has been tidied up, with some angled islands that make it easier to cycle into the side roads from the main road. You’re then onto Tabard Street, which has a curious treatment – a (contraflow) cycleway southbound (which we used) but nothing northbound, with some humps in the road. This really was a very quiet street, at least at the time we were cycling here, so perhaps a better treatment would have been some filtering, without any need for the cycleway. Tabard Street runs directly parallel to the A2, and seems to be very quiet already, so restrictions on through traffic, while allowing two-way cycling, would have been more appropriate. There wouldn’t be any need for humps, either. The next part of the Quietway was the best part – a series of quiet residential streets, all filtered, and all connected up with good paths. This was an area with large amount of car parking, both on- and off-street (and presumably relatively high car use) but the streets felt safe and comfortable to cycle on. It was a good illustration for me of how car parking doesn’t need to impact on cycle provision if the streets are filtered properly, and vice versa – car parking and car use can go hand in hand with these kinds of measures that make residential streets pleasant to cycle on. From here we joined a new path that runs around the Millwall football ground, which was really good – well built, smooth and wide. Unfortunately, however, this will be closed on home match days (basically, to separate home and away football fans from each other) and the ‘diversion’ route seemed pretty sketchy. This is an area with what seemed like a high percentage of HGV movements on the main roads – there are industrial units, recycling centres, and a large incinerator. Plenty of tipper trucks thundering around, and dustcarts from several London boroughs. Along one of these roads – Surrey Canal Road – we were well-separated from the carriageway on a shared path (absolutely fine, not many pedestrians here), but the junction and minor side road treatments really aren’t good enough. They’re dangerously ambiguous, especially given the type of vehicles using them (and the way they’re being driven). Who should give way here? There’s a crossing of a busy roundabout where it is explicit you have to give way (I think that’s correct, again, given the volume and nature of the motor traffic here), but it would really help if there was an island in the middle to simplify the crossing. It’s too much to look in several directions at once trying to gauge when you can cross both lanes on an arm of a busy roundabout – doing one lane at a time would make things a lot easier. At the time we cycled the route, nothing had been done at the fairly horrible junction of Surrey Canal Road and Trundleys Road. The cycle route has to get across these roads with motor traffic coming from multiple directions, to enter a park. It will be interesting to see how this problematic junction is resolved. From this park (Folkestone Gardens), there’s another attractive cut through under the railway line to Childers Street. But Childers Street itself – a residential street – felt like another of those roads near the Waterloo end of Quietway 1 that seemed to have people driving through, and too many of them for a comfortable cycling experience. The other part of Quietway 1 that deserves comment is the strange crossing of Tower Bridge Road. This is, frankly, a bit of a bodge, involving shared use footway, and people cycling being forbidden from turning right (or left, depending on which direction they are coming from) onto Tower Bridge Road from the Quietway route. The reason for this bodging is, essentially, that the cycle crossing and the pedestrian crossing right next to it run at the same time, but are ‘separate’. You’re not allowed to cycle across a pedestrian crossing when pedestrians have a green, so that’s why the turns are banned. Meanwhile, the shared use is to get people onto the cycle crossing, which has to run ‘separate’ from Webb Street, which still has motor vehicle entry permitted. It got me thinking about how the Dutch might resolve this kind of problem. I thought about it for a while, and realised that basically the Dutch wouldn’t get themselves into this kind of problem in the first place. They wouldn’t be trying to join up a ‘cycle route’ across a main road where the side streets don’t line up. The side streets would just be ordinary, residential side streets, and there wouldn’t be a need for a dedicated cycle crossing, because this wouldn’t be ‘a route’. People would be cycling along the parallel and much more direct main roads just to the south and the north, the A2, and the A2206, if they want to go anywhere. So this fudge on Tower Bridge Street is actually a useful illustration of some of the fundamental problems with routing cycling along back streets in an attempt to avoid main roads. Back streets will encounter major roads, and it will often be very difficult to square the circle when a major cycle route on a minor road meets major road. The problems with implementation of Quietways might actually point to a bigger problem with the concept as a whole. A better role for this kind of programme might be to focus on addressing individual problems, or missing connections, that have been executed well on Quietway 1 – small paths between estates, tunnels under railway lines, paths around football stadiums, and so on – rather than on trying to join these connections up into a ‘route’. It might be called ‘Missing Connections’, instead of ‘Quietways’, for instance. (Or something more catchy). The overall structure of a cycle network would then be a separate programme, consisting of developing cycling infrastructure on main roads, alongside a strategy of reducing motor traffic to acceptable levels on residential streets. Some of these streets will then organically form parts of sensible (but not ‘official’) routes that develop spontaneously. It’s something to reflect on, certainly, when we look at the differing levels of success (and ease of implementation) of the ‘Superhighways’ and ‘Quietways’ programme to date. This entry was posted in Infrastructure, London, Quietways, Sustrans, Transport for London. Bookmark the permalink. So it is therefore discriminatory. The thing to argue is that disabled persons on a hand trike could not megotiate it. Discrimination. This is exactly the argument we made against keeping it. Quote: ‘but evidently residents’ opinions have won out over the might of Transport for London and Southwark.’ As one of the residents – we’re still waiting for the council to come up with a solution that will allow bicycles of all shapes and sizes – and cyclists of all levels of ability (I can’t get through it myself without stopping and putting my foot on the ground) but stop the motorbikes that used to roar down Trinity Street. Please don’t advise bypassing the gate by cycling on the pavement. Would the Dutch have a solution? You can always do what I do – go via Swan Street-Cole Street instead! That demand is clearly impossible to satisfy: no barriers exist which can stop all motorcycles but allow a full range of cycles. I think the Dutch would police it, with officers at times when the problem is likely, or possibly with an enforcement camera. I don’t think noticing that it’s easier to use the footway is advising people to use the footway – it’s just highlighting the absurdity of that anti-cycling barrier. The people who it’s trying to stop are law-breakers by definition, right? So why would anyone think that they’re going to obey the law and not blast past that barrier on the footway? It’s absurd. And yes, everyone could go a slightly longer way like Cole Street-Swan Street every time there’s an obstruction, but then that’s not really making cycling easier. Why not just say there’s no need for Cole Street to be open because everyone can go a slightly longer way round crossing over Great Dover Street into Tabard Street? Where would that stop? All that’s needed is a camera to pick up on any law-breaking motorcyclists. If any do sneak through, the council benefits from the fine. Once they realise there’s a risk of being fined, most of them won’t do it. I ride this route several times a week, and am appalled that the nimbyism of the residents continues to trump the needs of cyclists with unusally shaped bikes, trailers, luggage, children etc. I can’t think of a single other place in Southwark where the council pays such respect to residents’ wishes – is it because the people who live there are relativelu wealthy? But the residents appear to have a very valid concern here, if in the past they have had a problem with motorcyclists. It appears the blame rests at the council for not removing those barriers and instead install a camera to police and fine the infringers. I can see your point and, as a regular user of this section, what the strip down the middle does is prevent cars parking there and blocking at least one of the bike lanes. This is something which happened fairly frequently before – regardless of any double yellow lines and I’ve not experienced since the changes..
A journey is only as good as it’s weakest link – hmm who wrote that? And we really need to be thinking on an area basis. Funny, I’m sure my copy of the Dutch bicycle design guide shows how to do this. Why do we think we can reinvent the wheel? Whilst I’m not a huge fan of the concept of Quietways being a seperate network from the Superhighways I do see some positives from this implementation and hope that these baby steps can lead to bigger things. Only the other day I was riding home and got to Stockwell tube (southbound from South Lambeth Road) with another of your atypical London commute riders – decked out in lycra on his nice road bike (with me in my usual commute attire of baggy shorts and backpack on the fixie) and he asked me what I thought about the works being carried. I said it was a nice improvement as the past arrangements along CS7 where rather bad but the lights changed before I could elaborate. I think the important bit, for me at least, is that we are gradually moving routes and infrastructure that I could see myself using with my children with proper segregation and parts of that Quietway do look (at least from this article) to be suitable for a ride with younger and less road-savvy riders which I think should be the measure of all the cycle works – would you be happy to ride this route with your parents and children? If you can’t answer yes then more work needs to be done! I don’t think I agree with that. There’s definitely places where the Dutch will create cycle routes over residential streets; in fact, that’s what cyclestreets usually are – residential streets over which a more major cycle route is routed. What the Dutch would do, depends on various factors such as the space available and the importance of the various routes/roads involved – is the street (semi-)crossed just a residential road itself or is it a more important connection for cars? In the first case (if the road to be crossed is just a residential street), the cycle route could be made the continuing priority road, perhaps as a cyclestreet, and traffic from the other parts of the crosssing road has to yield. In the second case (if the crossing road is too important for that), a small section of cyclepath or cyclelane could be made along the road to connect the cycleroute. And if there is a good deal of room, a short section of cyclepath could be created, giving a direct crossing from one side and ending up at the road on the other side – or the road itself could be diverted that way. I also tend to disagree with your conclusion at the end. Working with routes is the way to create the all-important network, adding pieces of infrastructure here and there is not bad, but if from the onset you are making routes out of them, you much better ensure the usefulness of those pieces. This should not of course go so far as to forciblly improve what does not need improvement to the detriment of what does but happens to not be on a predefined route, but prioritising improvements in such a way that longer distance connections are created is a good if not necessary thing in my book. However, one thing London should really get rid of is the whole thinking of a dual superhighway-quietway network. Instead, these should be different treatments for routes on a single network. Or at most, a primary and a secondary network, good quietways filling the gaps in an excellent but sometimes too wide superhighway network. I agree. There definitely are places where Dutch cycle routes take parallel quiet streets linked by short cycle tracks, such as leading west out of Delft. It’s not seen as best practice any more AFAIK but it is done. I think the Dutch solution would be a second cycle crossing to the right of the pedestrians for turning traffic. I’m sure I’ve ridden over one but I don’t remember where. The good bits (the recently opened Millwall path) make the bad bits (the crossing to Folkestone Gardens) feel all the more disappointing. As a whole it is an improvement, but is it enough to tempt more people into trying cycling? The improved signage is to be welcomed. The old LCN route was confused to follow. It’s great that Southwark and Lewisham boroughs have come on board with the improvements, but once you reach Greenwich you get dumped onto roads which are very cycling un-friendly. I can’t see matters improving there any time soon. The route for CS9 (Hammersmith to Hounslow) is meant to be a combination of “Superhighway” (segregated) designs with a section using “Quietway” (non-segregated) designs. So Mark, did you ever think about Sustainable Safety in detail, as in, write a blog post explaining how in UK terms, it could be implemented covering each of the 5 principles? I did myself (it took 6 long blog posts) for Canada and the US (similar enough roads, they just use antiquated units on signs south of the 49 parallel), has anyone in particular put this in a UK light? At one point, Southwark council proposed that the Tower Bridge Road “fudge” could have been a straight-across crossing – but apparently, because of the slight stagger in the junction, that would have meant holding the Inner Ring Road at red for longer than was acceptable to TfL – hence we got the shared-pavement mess. Given how jammed up Tower Bridge Road is anyway nowadays, I can’t believe it would have made that much difference to do it properly, but there you go. Still, I’m glad that the debate amongst campaigners has largely moved on from “VC vs infra” to “Quietways vs Main-road-routes-don’t-call-them-superhighways”. Despite the difficulties of QW, they shouldn’t be dismissed out-of-hand – at least where the geography is favourable (SE London yes, NW London not so much). QW = better air quality (spending an hour+ a day cycling, that matters to me – not so important for short trips), and overall just more pleasant surroundings (with some caveats around social safety, although more subjective than actual). Regarding the no right turn on to Tower Bridge Rd in order to avoid conflict with the pelican on green: bearing in mind the many places where cycling across what is technically a pedestrian crossing is the norm, is this actually going to be a problem? The legal prohibition has to be there because that’s what the law requires, but in practice, surely people are going to turn right, mingling with the pedestrians. That’s a little odd that one – if the pedestrian crossing was on the other side, right turns would be possible heading towards the park, and people could still cycle left, albeit ‘behind’ the crossing. To what extent is it obeyed? Is it ever enforced by the police? How do pedestrians react to cyclists turning across the crossing on their green man? Indeed: no, never, and pedestrians often walk on the cycle crossing anyway. It would be unusual to want to turn left from Parker’s Piece: you’d probably just use the diagonal shared-use path across the green anyway, and join the road further up. I’d prefer a parallel toucan https://goo.gl/maps/EL8URCEYpB72 Not legally enforceable as far as I’m aware, but that’s irrelevant as they’re never enforced anyway. But. the big deal with a toucan is that you can ride across when it’s not green if the road is clear: here it’s running a red light as they are full signals. The wait is annoying when traffic levels are low, though it does at least react fairly quickly late at night, but not during lulls in daytime. Just realised I recognise that crossing! From my one and only visit to Cambridge, a weekend a couple of years ago. It was very quiet at that time. Do you mean the stabby fingers on the footpath ? They look lethal to people with poor vision. Well it’s all just piecemeal, isn’t it. I used to take a similar route, zigzagging about the countryside, thereby loosing several minutes on every trip and getting exposed to hazardous crossings, pinchpoints and such like. I ended up taking the road (the equivalent of Old Kent Road in your London example). It goes pretty straight to where I need to be, and is much safer on the whole. That’s probably whrere the Dutch would build the cycleway, while rerouting motor traffic elsewhere or keeping it out of the area altogether. I do this route everyday, and before that when it was an LCN route. I agree with your comments, unfortunately the traffic calming elements near waterloo have not really worked. In so much that a van that was clearly frustrated by the early release traffic lights leading onto Webber street, overtook me at great speed where the road was narrow on a new raised table. He had nowhere to go as there were parked cars and a car coming the other way, he pulled in on me and then slammed on his brakes forcing me to slam into the back of his van at enough speed to break my bike and force me into hospital to be checked on. Thankfully I was Ok, but it emphasises that all the traffic cannot help you with aggressive van drivers in London rush hour. The one place you do get segregation, on tabbard street, is where it isn’t really needed (as the street is so quiet!) The crossing at Webb Street is a bit strange, but welcome as this junction was not fun to cross before it was installed. The awful barrier (double zig-zag) can be avoided by taking the road parallel)) to this (turn right from globe street). The New Millwall path link is really excellent, and probably shaves a couple of minutes off the journey and the crossing to Folkestone gardens is being worked on (with a crossing island.. it’s only part built, but already it is much better. I’ve done part of this route this morning (Deptford – Blackfriars Road) and I agree with your comments. The Webber Street/Blackfriars Road junction is a bit scary if you have to turn right onto CS6 to get on Blackfriars Bridge, but maybe I’ve missed one of the double-right signs? Also, I’ve found that parts of the route are not very well signposted: I joined it in Childers Street in Deptford and the first Q1 visible sign I’ve seen was near the Millwall Pitch. Also, After you’ve passed South Bermondsey station there is a fork in the path and no signs to tell you whether you need to turn left or right. Most of it is really enjoyable though, especially considering that the alternatives are either very busy roads or crowded touristy areas near the river. Your final points are very valid. Certainly in Lambeth/Southwark there is no longer any real pretence that the Quietways offer any kind of consistently quiet route. There are a few piecemeal useful interventions. The main issue here has been an unwillingness to filter and part of that comes from the impact on surrounding roads. Filtering works best if designed on an area wide basis which isn’t that compatible with the route based approach of Quietways. Probably best looked at as A roads and B roads. “Routes” are A/trunk roads – the main road, primarily segregated. The B roads branches which connect the trunk route to where people actually live, get designed as a city-block – not a single route through it. I cycled this route (well, tried to) today. Alas, even after reading your post beforehand, the signs ran out after millwall and I got lost. I think I may have found the route again by a small park but I then lost it again, so ended up following route 4 along the Thames as I stumbled upon a sign for it. I couldn’t find the start of the route in Greenwich so took route 4 all the way back to London. I will have to try again! The Greenwich bit is not officially open yet. In fact, some of the road signs are in place but have been covered. It looks like they’re doing some roadworks in the Deptford area along the route, they will probably it once they’re done with them. Thank you for the heads up! Indeed, that’s the bit where I “fell” off the route – right around the roadworks in the middle of the road. I’ve recently moved to an estate near the route and have been using it to cycle into work. I agree with the above – and it’s actually working well, I’ve seen kids with parents cycling, and even 70+ year old OAPs of both genders on it. The central London bit does have problems though. I already had an almost-crash on Webber St where a car tried to overtake me while I was overtaking a parked van, then realised as he was next to me that there wasn’t enough space. My main problem though is signage and mapping. The map provided by TFL (and shown at the top) is impossible to navigate from. There’s so many cycle paths leaving the quietway that unless you know the route – which of course being new to it I didn’t – you end up taking the wrong cycle path and ending up somewhere you don’t want to be. For instance I’ve turned into Rolls Road from Oxley Close by accident when cycling East more than once, when I meant to keep going on Oxley, because other cyclists were turning. The 1980s estates you’re cycling through all look very similar so it’s hard to remember your turns, so signage needs to be better. I moved into my new flat on May 6th, and still haven’t managed to do the ‘correct’ route from my flat. I only discovered the full map on Lewisham Council’s website recently – I had no idea there was a bridge over Rotherhithe New Road onto Stubbs Drive, I thought you had to cycle on a different marked cycle way along Masters Drive, the onto Catlin Street, then Stevenson Crescent then join the main route. I was either braving Ilderton Road, or taking a long route via the entrance to South Bemondsey station. Quietways would be great for the ‘blue paint’ treatment that is used on the original cycle superhighways (although please use a different colour). The paint on the superhighways was inappropriate as too much traffic, but here would be great to remind drivers that cyclists are present and show the main route. Sounds like a good case for Sharrows – cycle logo between >> – in a distinctive colour. Green for Quietway perhaps ?